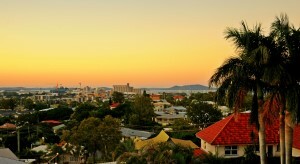 West Gladstone is a popular choice for families as it is in close proximity to all major amenities and Gladstone CBD. Stockland Shopping Centre (built 1977) is on the border of West Gladstone, as well as West State School and Chanel College, both built in 1966. It also features the Public and Private hospital, the popular Gladstone State High School (1953) and Gladstone’s racecourse. West Gladstone is made up of older highset homes affordable homes on the hills overlooking the city and new low set brick homes. West Gladstone’s population in the 2011 Census was 5201 with the median/average age being 35 years old. 28.2% of homes are fully owned, and 30.9% are in the process of being purchased by home loan mortgage. 37.6% of homes are rented.